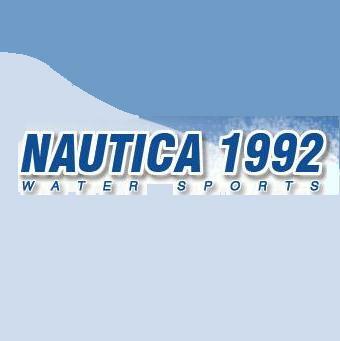 The Nautica 1992 is considered as one of the finest water sports providers in Dubai. The business is based at the The Habtoor Grand Beach Resort and Spa. The water sports fans and fishing admires turned their hobby into business and took very less time in generating a massive amount of revenue from their company. Fantastic and enthusiastic environment along with quality services forced visitors to make their way to this exciting place and party with their friends and family. The management of the company makes sure that their guest are endowed with the out class services as promised in a very secure environment. If you are impressed by the advertisement of this amazing resort then take a look at the article below and plan a your visit. The awe inspiring services of Nautica 1992 The Habtoor Grand Beach Resort & Spa Dubai includes several water sports such as water skinning for 20 minutes with Dhs 200, 20 minutes of banana boating for Dhs 250, parasailing of 10 minutes for Dhs 250 and wind surfing. Wind surfing lessons are also scheduled with Dhs 200 fees. Outdoor sports facility is also available that includes, beach volleyball and football. Along with a pool, a beach bar and spa suites are also present within the venue. For family membership you will have to pay Dhs 22,500 annually, whereas for single male, Dhs 17,00 is charged as an annual membership fee, whereas female singles will have to pay Dhs 15,000. Couples are charged with 19,500. The resort is open for visitors for seven days a week, and the timings are 8:30am to 7:30pm. 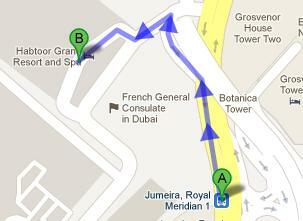 The nearest bus stop from the Nautica 1992 The Habtoor Grand Beach Resort & Spa Dubai is Jumeira, Royal Meridian 1. The route that makes a stop here is Ibn Batutta Metro Station 1. In order to cover the 350 minutes distance between the two locations by walk, it will take approximately 5 minutes. After getting off the bus, head in the north direction on Jumeruah Beach Rd and then continue your walk on the Al Sufouh Rd/D 94. After covering 47 meters distance take a slight left turn, 84 meters further you will have to take another left turn. The last left turn will help you in reaching at your destination. For a detail view of the map, check the Pedestrian Route.